Popular actor, Kit Harington popularly known by his name “Jon Snow” on the hit HBO series is winning both in Game of Thrones and real life.. 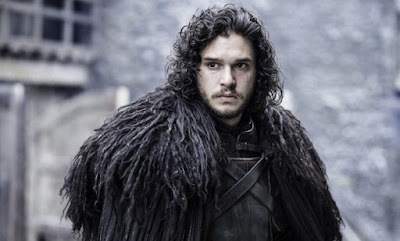 The actor, who was a fairly unknown actor until he joined Game of Thrones, reportedly earns £2m (N928m) per episode of the hit HBO fantasy drama television series created by David Benioff and D. B. Weiss. Harington is, however, not the only person making that amount; other stars — Emilia Clarke (Daenerys), Lena Headey (Cersei Lannister), Peter Dinklage (Tyrion Lannister) and Danish co-star Nikolaj Coster-Waldau (Jaime Lanister) also earn £2m in each episode of the film. The big cash had come from bonus clauses, which saw the stars earning percentages of the syndication payments that come from the record-breaking show being aired in more than 170 countries. The stars are also said to be benefitting from payments from re-runs, with shows earning audiences of up to 23 million people during the sixth season. Meanwhile, Harington is reportedly worth $12m (N4.3bn). Lots of cash flowing around.